Kartik-Themed Activities for the Next Month! ~ The Toronto Hare Krishna Temple! Kartik-Themed Activities for the Next Month! As some may already know, the month of Kartik began today. 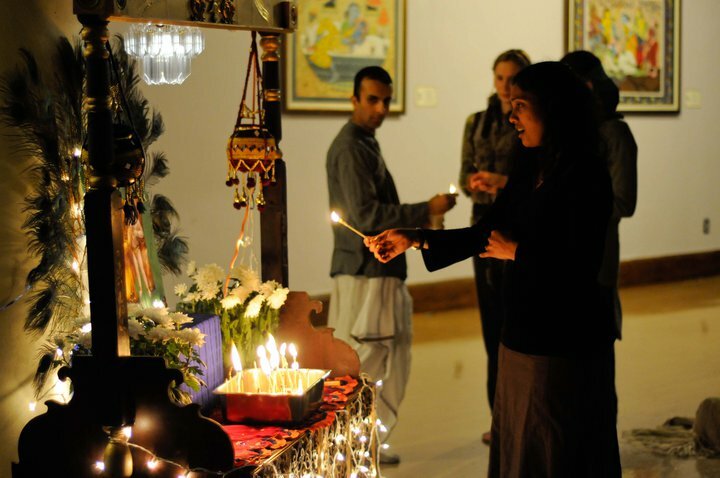 To continue in this spiritual mood, Toronto's Hare Krishna Centre will be hosting a slew of spiritually charged events throughout the next month for those ready to take a devotional challenge! Damodarastakam is a set of prayers that describes the vivid pastimes of Lord Krishna and when coupled with dimmed lighting and soft accompaniment, it is truly the BEST way to end your evening. Please join us every week night at 8:00PM. Our mornings are just as enlivening with special spiritual discourses every morning. For Kartik, a wonderful schedule has been put together to highlight this time of the year. Please check back for next week's schedule. Why not start your day by reading from the Bhagavad Gita As It Is with other spiritualists? This is a chance to begin the day on the right note and a chance to bond spiritually with others. The group will be reading from Chapter 8, "Attaining the Supreme". For further information, please contact the Sankirtan team at: toronto.sankirtan@gmail.com . If reading by yourself is more your style, you can join our book club, which will be reading Nectar of Devotion, a book that focuses on the practices of bhakti yoga. By joining, you will receive inspiring quotes every day. Further, to complete the book within a month, everyone is encouraged to read 14 pages a day. So, if you are ready to soak in some knowledge, please email toronto.sankirtan@gmail.com to sign up for daily emails! We hope that everyone can find an activity that best suits your interests and as a community, we can grow spiritually together during this Kartik month! The Temple on Avenue Road has a few Names, Iskcon Toronto, The International Society of Krsna Consciousness and the Hare Krishna Centre. Most of the Srila Prabhupada Disciples from Iskcon Toronto call the Temple New Remuna Dhama the home of Sri Radha Gopinatha. Thank you, prabhu. Hare Krsna! Haribol!Is there online class at 7:30am?